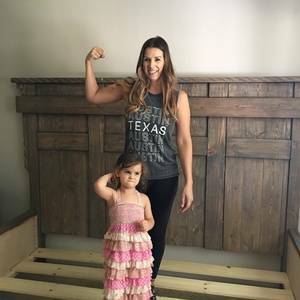 Being a single mom, purchasing my dream bed just wasn’t an option financially. 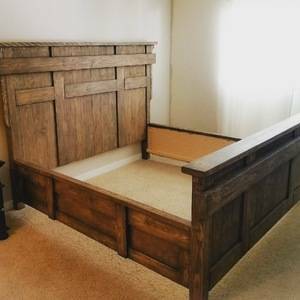 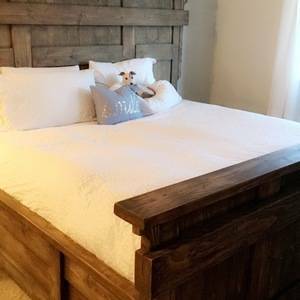 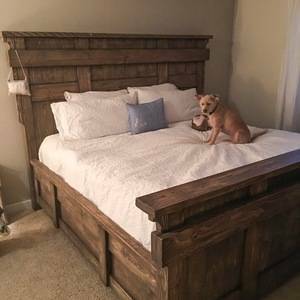 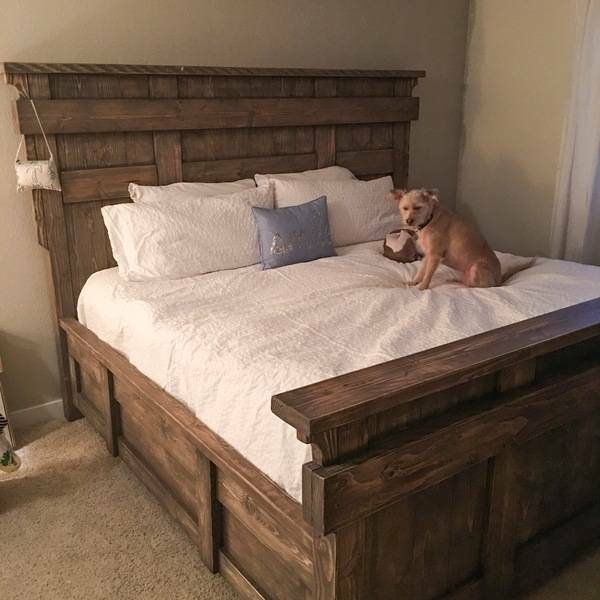 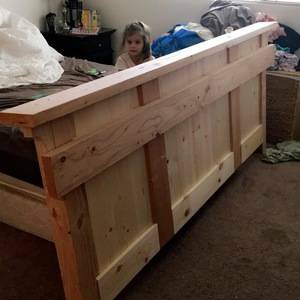 I came across the Shanty2chic website and was inspired to build my very own dream bed. 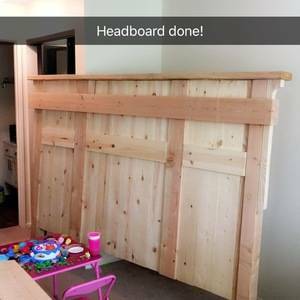 I’ve never built anything before this and tackled the entire project on my own, so I am very proud. I made mistakes, learned from them and tried again until after 3 months it was done. I am in love with my bed and catch myself staring at it now a year after finishing it. 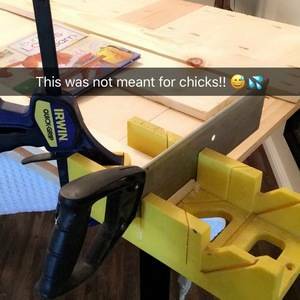 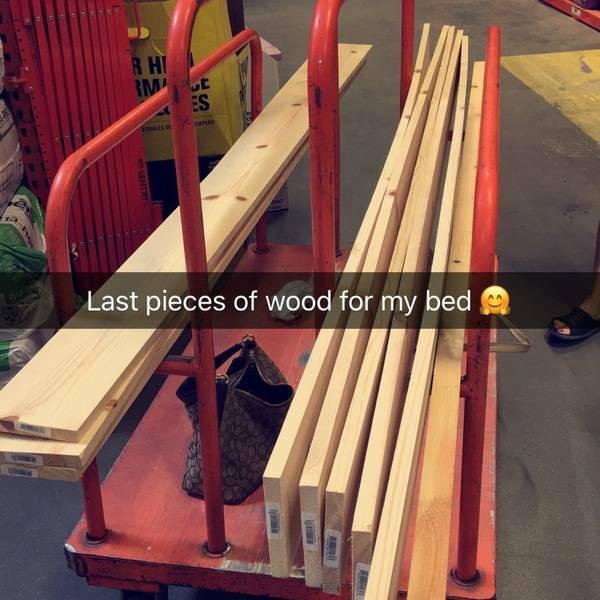 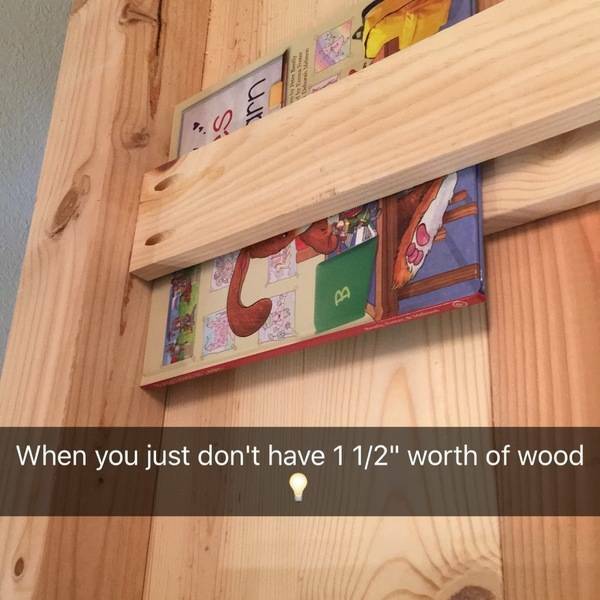 A LOT OF WOOD, SCREWS, GLUE AND NAILS. 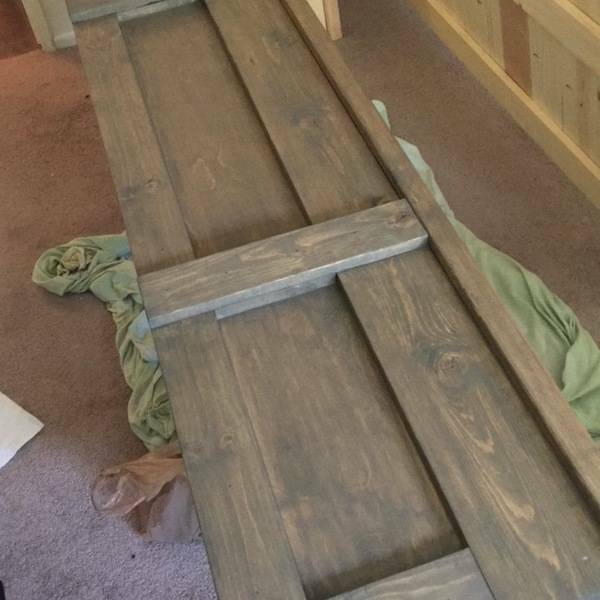 SANDPAPER AND STAIN.